All-out frenzy, even the viewers aren't safe! An intensely thrilling naked festival of throwing hot spring water onto each other before dawn on a freezing winter morning! The hot spring at Kawarayu Onsen—a hot spring said to have been discovered in 1193 by Minamoto no Yoritomo (a famous Japanese shogun from the 12th century) while he was hunting—dried up once, about 450 years ago. Concerned villagers decided to pray by making sacrificial offerings of chicken, since the hot spring had a smell similar to a boiled egg. After doing so, the spring came back to life, to which the ecstatic villagers threw the hot water onto each other in celebratation. 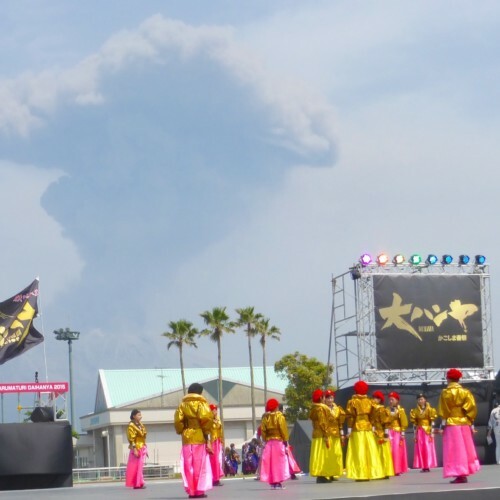 This is how the Yukake Matsuri began. An alter is set up in front of the public bathhouse "Oyu" located at the center of Kawarayu Onsen town for this bizarre and energetic naked hot water throwing festival to take place, held on January 20th in order to show gratitude for the blessings of the hot spring. 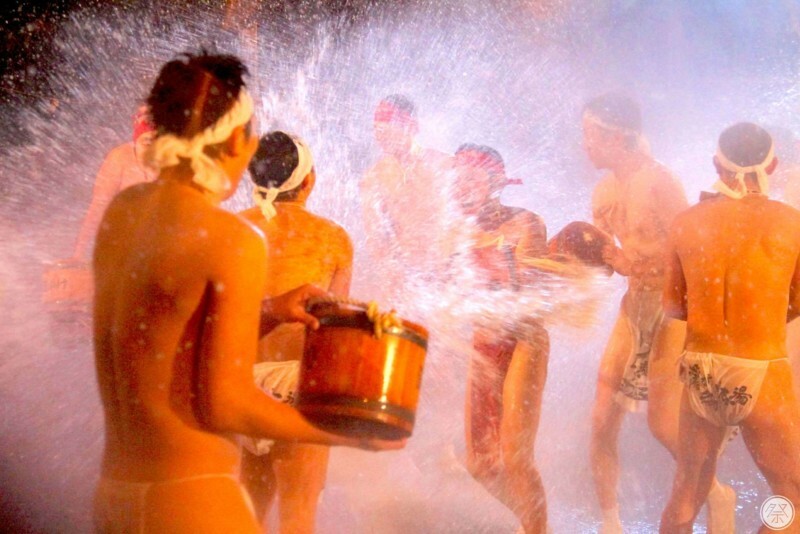 Steam begins to rise as soon as the men wearing nothing but red or white Fundoshi (traditional Japanese underwear) start throwing hot water on each other, shouting "oiwaida! oiwaida! (it's a celebration!)" 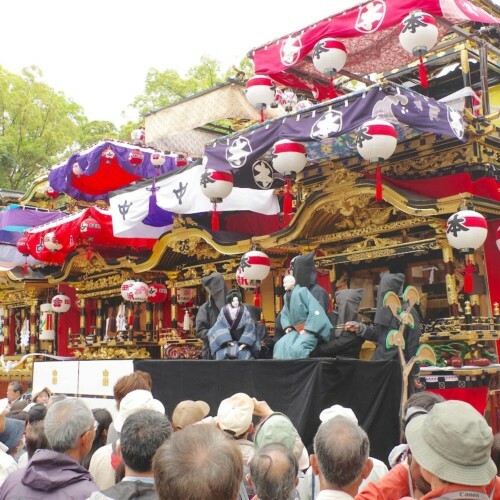 The shouting continues on, amidst the sounds of Kawarayu Ondo, a festival chant sung about the Yukake Matsuri. 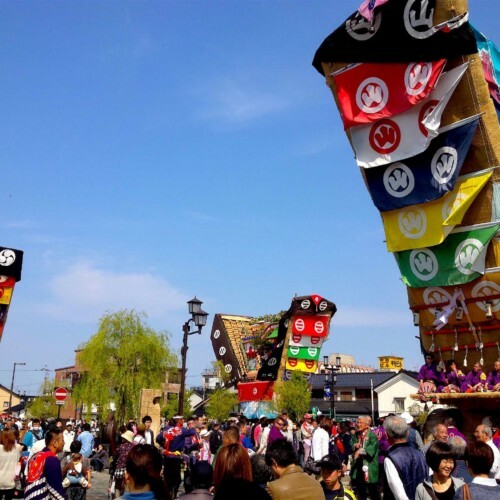 The festival reaches its climax when hot water is thrown onto hanging paper balls called Kusudama. Four live chickens are inside the balls, and when enough hot water is splashed on, the balls open in half, and they jump out. The men compete to catch the chickens in order to offer them to the alter. 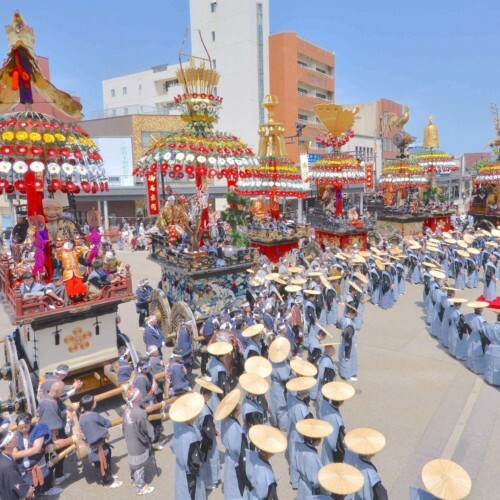 Viewers are able to enjoy the festival right up close, yet be prepared for the hot water may come splashing on you too! Place In front of public bathhouse "Oyu"
Please be well-protected against the cold, as the festival is held before dawn on a winter morning. Please be warned that the hot water may splash on viewers during the water throwing. In front of public bathhouse "Oyu"
Address: Kawarayu, Naganohara, Agatsuma-gun, Gunma Pref. 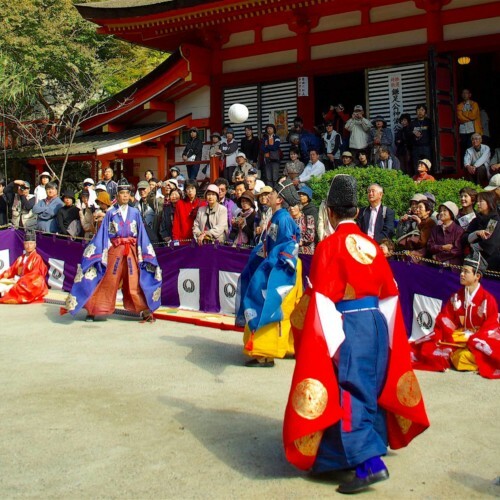 Since there are no trains running during the festival hours, visitors viewing the festival must arrive the day before and stay at a Ryokan (Japanese style inn), etc.